ALICE COOPER ANNOUNCES U.K. SHOWS! 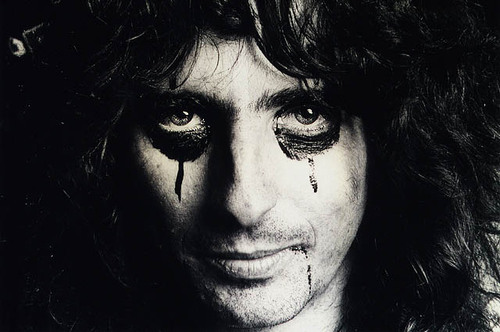 Shock-rock legend ALICE COOPER has announced his first UK tour in 5 years. The Phoenix via Detroit icon will be playing five arena shows next Autumn, with support from THE MISSION and fellow theatrical rockers – and former acquaintances from his Phoenix days – THE TUBES. Cooper has recently been working on an album with Bob Ezrin, producer of the best of his 70s work. He recently reported that he’d been working on new material with former Alice Cooper band members, Dennis Dunaway, Neal Smith and Michael Bruce – Glen Buxton sadly died in 1997 – but no decision has been made whether this, or they, will feature on the new album. Tickets go on sale here on Friday 16 December. ‹ 13th CHIME ANNOUNCE RARE LONDON SHOW!